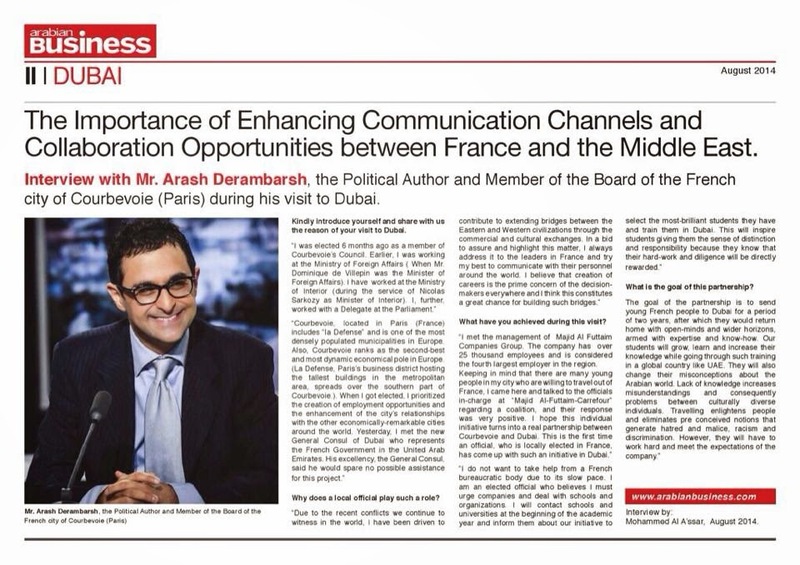 The Importance of Enhancing Communication Channels and Collaboration Opportunities between France and the Middle East. Interview with Mr. Arash Derambarsh, the Political Author and Member of the Board of the French city of Courbevoie (Paris) during his visit to Dubai. Kindly introduce yourself and share with us the reason of your visit to Dubai. Why does a local official play such a role ? What have you achieved during this visit ? What is the goal of this partnership ?